TeacherPlus is an easy-to-use, web-based gradebook designed specifically for schools using Administrator's Plus. Built with the advanced framework of HTML5 and a responsive design, our gradebook offers cross-browser compatibility without requiring plug-ins. 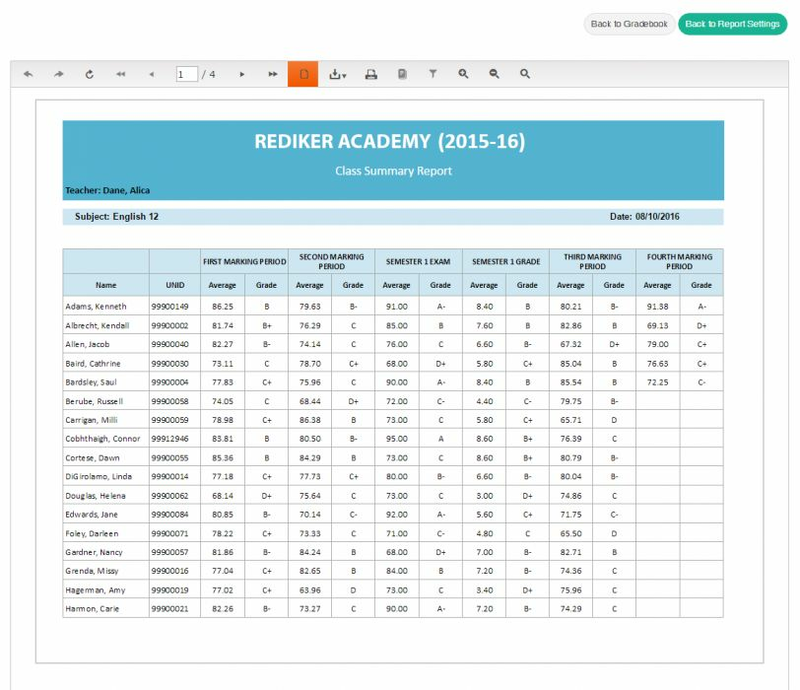 Teachers can access their gradebooks at any time, even from their iPad, and data flows seamlessly between the classroom and central office. For All School Types - TeacherPlus Gradebook is designed to fit the needs of all grade levels. Skills and Narratives - Easy entry of skills and narratives for elementary schools. Grades and Scoring - Weighted grades and automatic calculations, means, medians, and averages for middle and high schools. 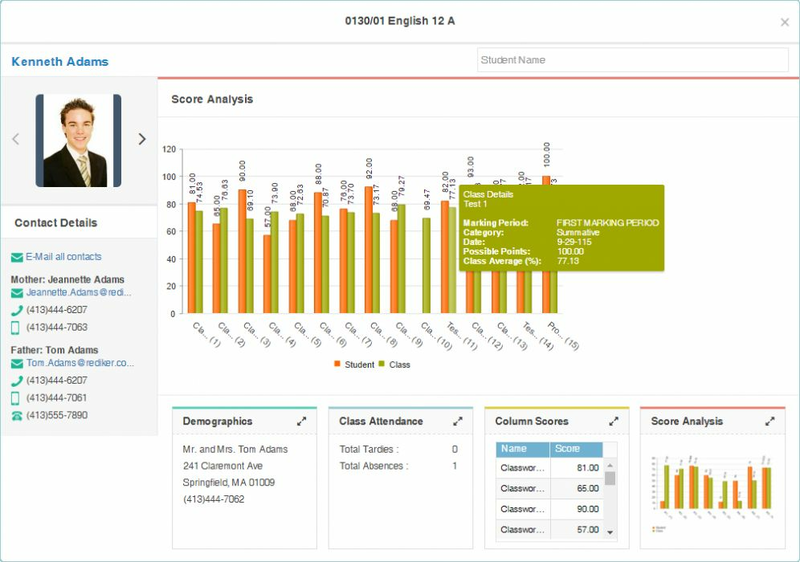 At-a-glance Data - Real-time dashboards and graphs give an instant, overall picture of each student’s performance and attendance record. Web Access - The advanced HTML5 framework offers cross-browser compatibility without requiring plug-ins and a responsive user experience on mobile devices. Access for Parents - With our ParentPlus web portal, grades can be made live over the web without any uploading. 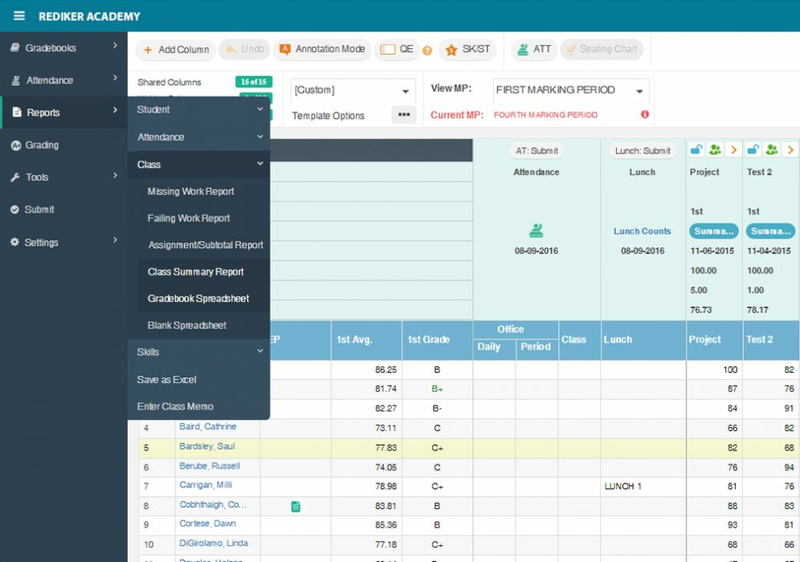 Reporting - Built-in reports, including progress reports, birthday lists, means, medians, averages, and much more. IEP Direct - Optional IEP Direct Interface so teachers can view IEPs from IEP Direct while in TeacherPlus Gradebook (additional fees apply). IE Support - TeacherPlus Gradebook is supported by Rediker Software on the following editions of Internet Explorer - Internet Explorer and Microsoft Edge - and is supported on all currently supported servicing branches of Windows. 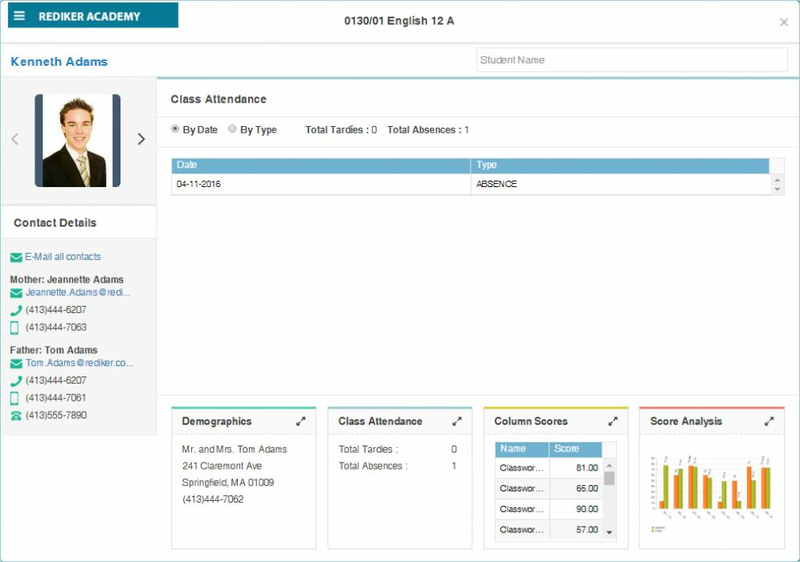 Administrators and department heads can manage all teacher gradebooks in one place at an enterprise level with the TeacherPlus Management Site. 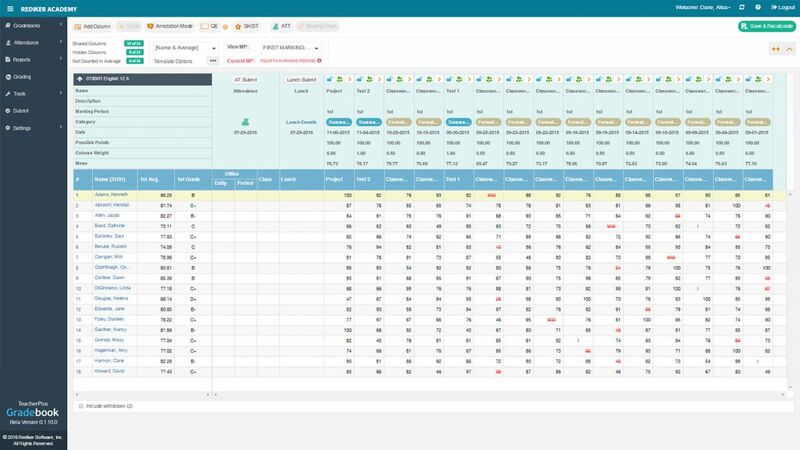 Create universal grading tables and a skills/standards bank, manage what data teachers can view, and report on how a student is performing across all classes at that exact moment. Standards-based grading communicates how a student is performing against a set of essential standards. 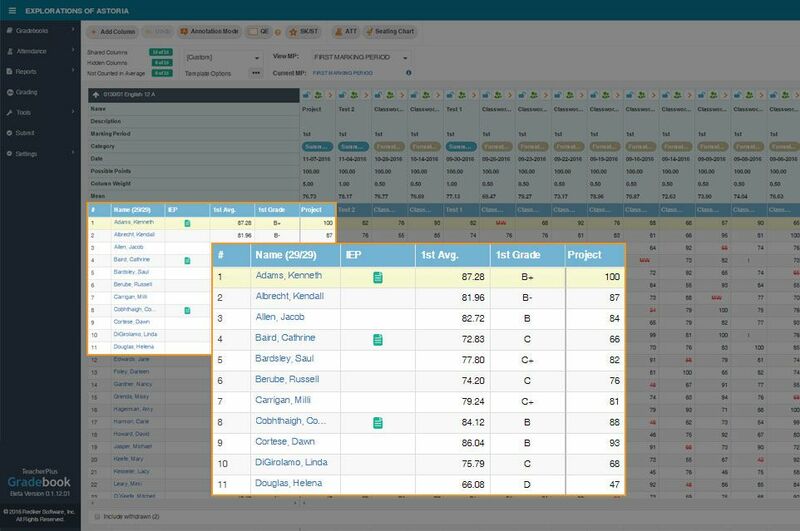 Our powerful, flexible gradebook helps you define and measure students’ proficiency on those standards. 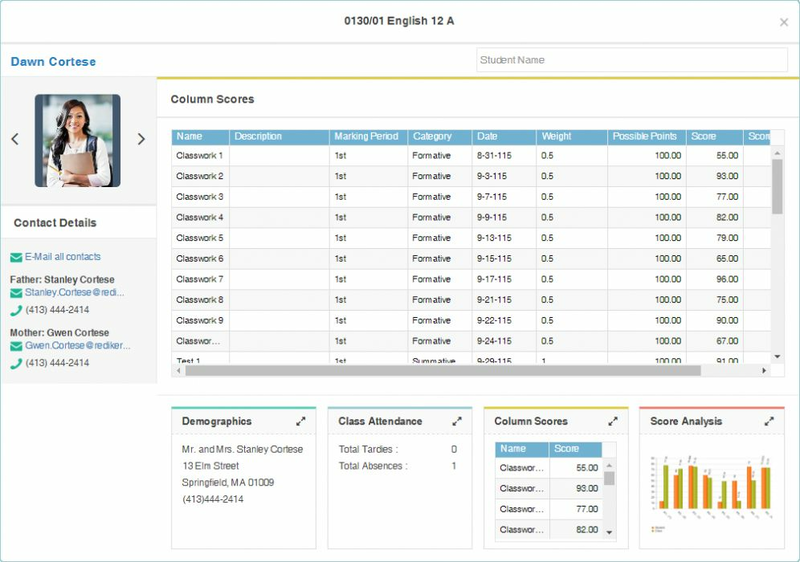 You can personalize the gradebook to track your schools’ grading scales, standards, skills and mastery. Define indicators, standards and strands for each course. Choose from a range of calculation methods including Power Law, Weighted Averages, Mean of All or Recent Assessments, Median, and more. 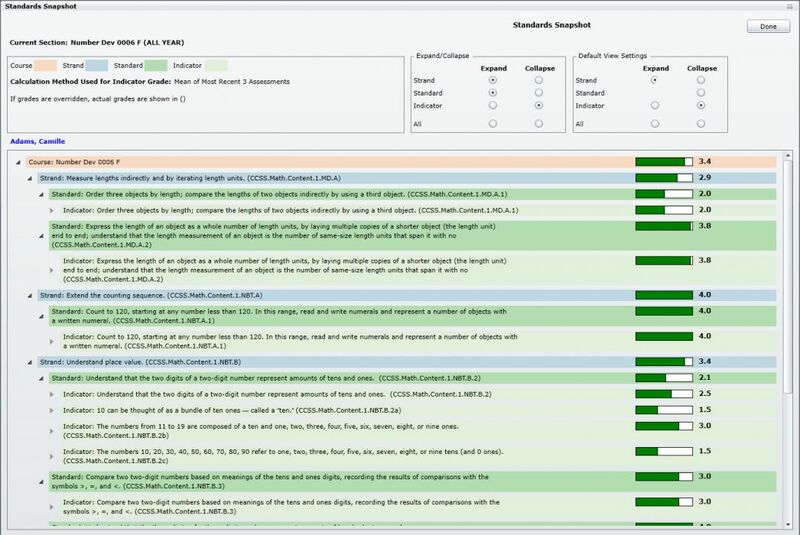 View each student’s mastery by standard, or see how all students scored on an indicator or standard. 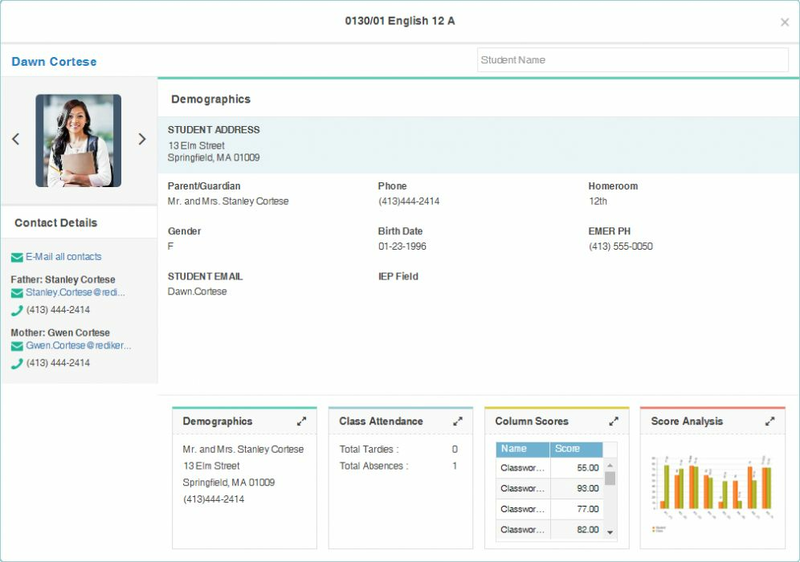 Powerful reporting features help you create “grades” that are easily understood by schools, families, colleges and employers. The NEW TeacherPlus Gradebook app for phones allows teachers to access grade data on the go from their Android or iOS devices. Our school is very pleased with the TeacherPlus Gradebook. The progress reports look great to show the students and parents, and the system is very easy for new teachers to learn to use. Visually and practically the system is terrific, and this has been expressed by the entire faculty."